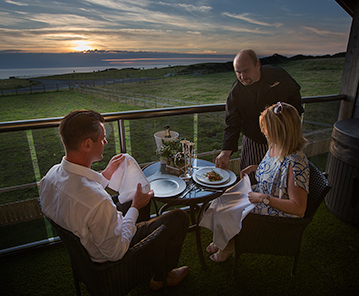 In an Area of Outstanding Natural Beauty, Westward Living offers luxury accommodation with amazing coastal views. Explore the golden beaches and rolling hills of North Devon, before relaxing in one of our stylish, comfy cottages or beachfront apartments. Whether you're a family visiting for an authentic Devon experience or a couple looking to get away from the hustle and bustle of daily life, our properties offer the ideal place to kick back and relax. Duckhaven Stud has 14 bespoke luxury cottages, many of which have private hot tubs. Enjoy seven nights of total relaxation, or a three or four-day holiday to explore the best of North Devon. We also have three stunning seafront apartments in the heart of Westward Ho!, perfect for surfing and beach days. All of our properties are accredited by VisitEngland, with ratings from 4 to 5 stars. 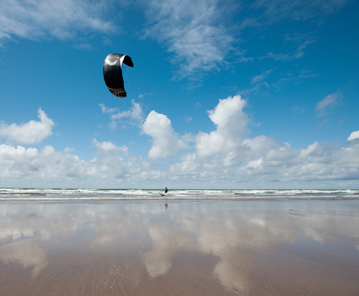 We love North Devon, which is why we decided to devote all our time to showing people what makes it so special. We're a family-run business, complete with our beloved horses and our dog, Raffles, who would be delighted to take you for a walk along the coast. Our farm is just a five-minute walk from the South West Coast Path, which leads to the sandy beach at Westward Ho!. 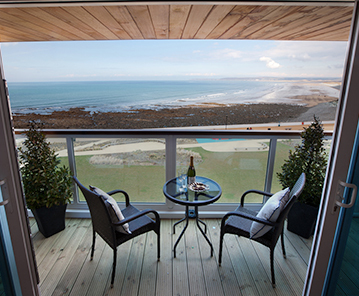 Our Self Catering Holiday Cottages, Westward Ho! We spent a weekend at Westward Ho to get away from London and to be near the ocean, have some fresh air and to enjoy slow, relaxing days out in the country side. We stayed at Kala's cottage named after the owner's race horse. It's normally reserved for honeymooners so we were lucky for this accommodation. The 2 storey room was very large, comfortable and had all the luxurious amenities. Upstairs was the master suite and the entire downstairs was for the living, dining rooms and kitchen! All is fully equipped. We spent most of our days watching the staff take care of their farm animals while horse owners also visited the stables. This place has a massive wedding venue for 150-200 guests that overlook a panoramic Atlantic Ocean. 15 minutes away is the amazing village of Clovelly. A true "must visit" for romantics and photo enthusiasts. We truly recommend this great place for complete relaxation and to get away from the hustle and bustle of the big cities. We will be back again! !